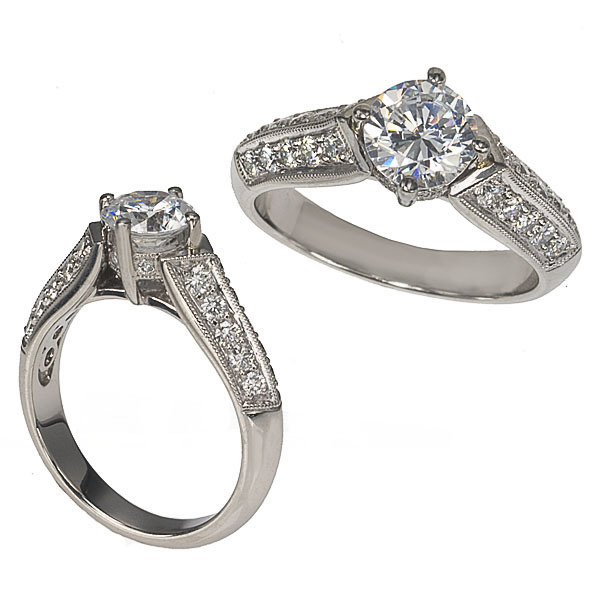 0.47 carats of bead set diamonds in the V shaped shank of this platinum engagement ring; make a stunning setting for your center diamond. Detailed scrollwork on the inside indicates the very fine quality of this piece. (Center Diamond is Sold Separately).